TheForce.Net - Latest News - Fanboys Sneak Previews - WINNERS! 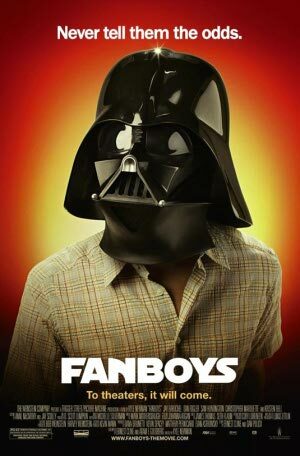 Congratulations to the winners of the Fanboys: Chicago and San Francisco Sneak Preview Contests. By now you should have received a reply to your original e-mails confirming the details of your prize. If you haven't received a confirmation e-mail, the details are repeated here. Remember, your prize is good for (2) tickets to the film and the after-party. Be prepared to show photo I.D at the door. MUST be 21 to redeem tickets. Monday, February 2nd, 7:00 p.m.
Wednesday, February 4th, 7:00 p.m.
** NOTE: Director Kyle Newman will be attending both screenings and after-parties, along with members of the 501st. The Force-Cast's Jimmy Mac will be in Chicago and members of the Fanboys cast will be in San Francisco.